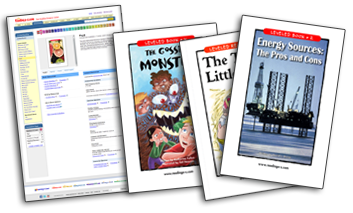 Thousands of downloadable, projectable, printable teacher materials, covering all the skills necessary for effective reading instruction. 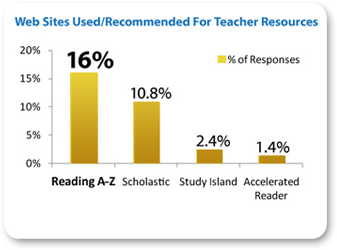 Already being used in nearly half of the school districts in the U.S. and Canada and 155+ countries worldwide, discover how Reading A-Z's affordable, easy-to-use teacher resources fill the teaching gaps left by many reading education programs. 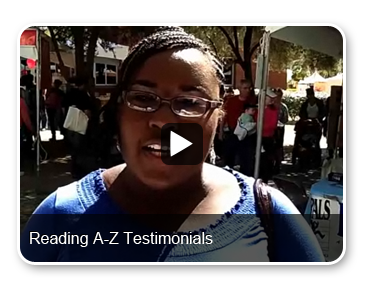 Reading A-Z is a one-stop destination for teachers for all their reading needs. Practice: students practice with printable books and teachers instruct with projectable books. Read our white paper, "Bringing the Common Core Standards to Life in the Classroom"
*Reading A-Z was named the #1 teacher website for K-5 according to Education Market Research's January 2012 report, "Elementary Reading Market: Teaching Methods, Traditional and Digital Materials Used and Needed, and Market Size"